Green tea from Japan differs quite a lot from its Chinese cousin. The different cultivars, harvesting, and processing provides a distinct experience. It can also be challenging to steep. Many folks I’ve encountered have found their first experience with grassy bitter Japanese green tea to be their last. With this post I hope to provide those people and others with inspiration to give this amazing style of tea a second chance. While the steps below may seem complicated, if you understand some of the principles of how tea steeps, it all makes sense. First of all, Japanese tea tends to be machine-harvested, which results in smaller and more broken leaves. Broken leaves mean that the tea will infuse much more quickly and can become bitter in much less time than a full leaf Chinese green. Furthermore, unless passed through a fine mesh strainer, it’s likely that many of the leaves will end up in the cup when it’s done. These leaves will continue steeping the tea as it cools and may cause unwanted strength even if the timing is just right. Finally, Japanese green teas are generally steamed to fix the leaf rather than pan-fired or baked as they are in other countries. This results in a tea liquor that’s much more “vegetal” in the same way that steamed vegetables tend to be “greener” tasting than those same vegetables when fried. If the infusion is too strong, the result can not only taste bitter, but grassy as well. In essence, Japanese green teas are much more delicate and need a little more care when preparing them. Here’s my suggestions for most styles of Sencha, as well as Kabusecha and Gyokuro (Genmaicha, Hojicha, Kukicha, and Matcha are a different matter). Because of the small and broken leaves we ideally need to use a mesh strainer. Japanese Kyushu pots usually have these built-in, but such pots can be hard to find on the Western market. Another option is the ceramic “teeth” on the lip of a Shiboridashi pot which are designed to catch the small leaves as the liquor pours over the rim. Lacking these tools, any wire mesh strainer will do the job, even a large kitchen strainer. If you don’t have any strainer on hand, just be aware that the tea will continue steeping in the cup and you may want to reduce the infusion time to compensate. Since the broken leaves will steep much faster, we need either a very short infusion time (which can be challenging) or we need to slow down the infusion somehow. More of the compounds in a tea leaf will transfer to the water if the water is hot, so using cooler water will slow down the process to make it more manageable. 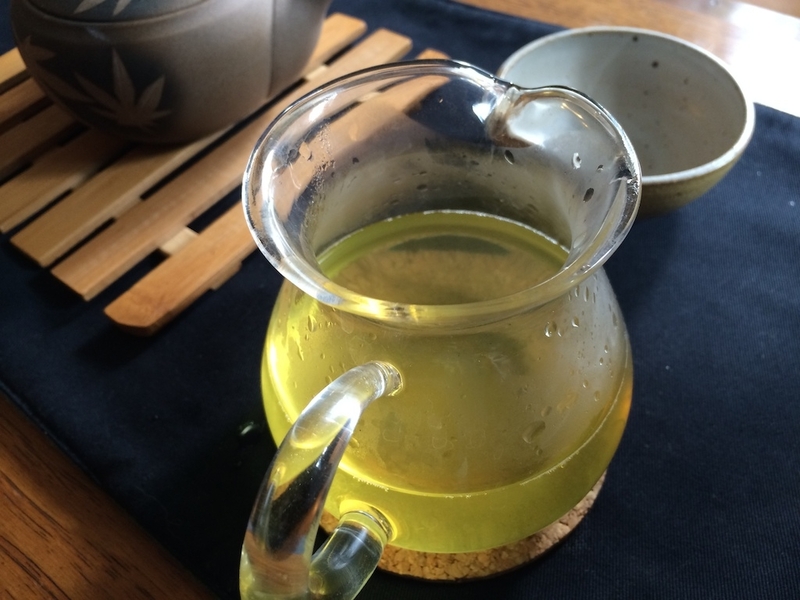 I usually use about 55-70°C (131-158°F) water for Gyokuro or Sencha. Within that temperature range, a steep of about 1 minute should result in a delicious brew. If your water is hotter, decrease the time. With 80°C water, a 20-30 second infusion should work, but it might taste a little scorched. The amount of leaves in the pot also makes a difference. I tend to use more than I would for a Chinese green; for a 300ml pot, I usually use about 8g of leaf. 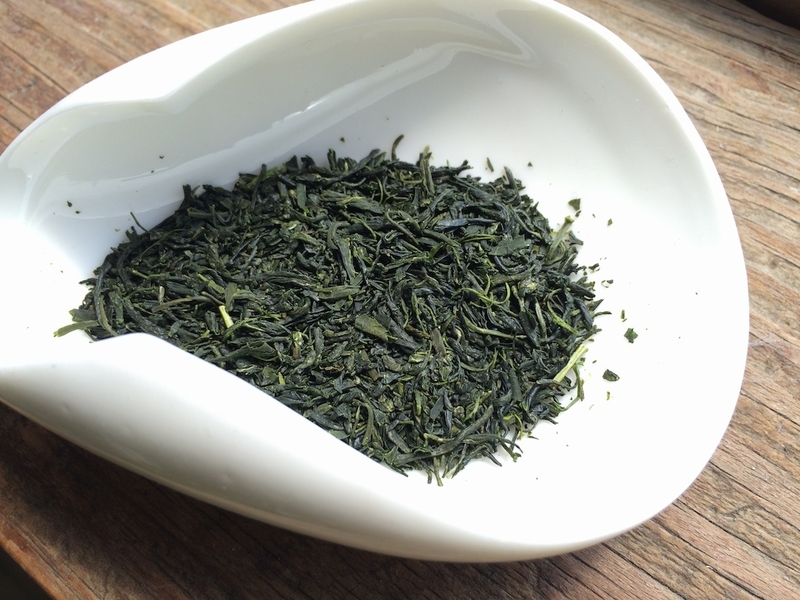 This step may be out of your control, since many vendors don’t list the age of their tea, but green tea (Japanese or otherwise) should be consumed within 6 months to a year of its harvest date. It should also be stored in a sealed package with no air or light reaching the leaves. Older leaves tend to be dull and flat tasting giving the palette all the tannin but none of the sweetness. For this reason be wary of stores that keep their tea in clear plastic or glass containers (I’m looking at you, grocery stores). Following these steps should result in a deep and rich cup of Japanese tea. The qualities to look for in a good cup are usually a bright energy with seaweed-like saltiness and a satisfying Umami taste on the tongue. The aroma of freshly-cut grass is a good sign, but a “grassy” or bitter taste is not usually desirable. As always, your taste may certainly be different from mine, so experiment to find your preferred brew. Even so, hopefully the above guidelines will give you a head-start. 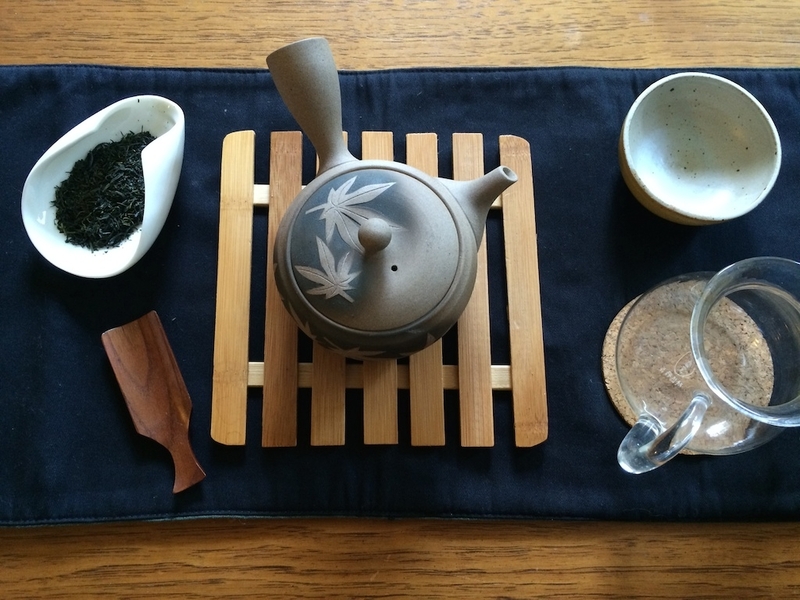 This entry was posted in Method and tagged green, japanese, kyushu, sencha, tea preparation, teapots on August 26, 2014 by payton.